Manufacturers list start of "V, W, X, Y, Z"
Wuhan Hao Microelectronics Co., Ltd.
Wuxi I-Core Electronics Co., Ltd.
Xi'an Aerospace Minxin Tech. 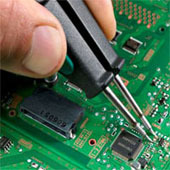 Co., Ltd.
Xian Semipower Electronic Tech. Co., Ltd.
Xiang Shuo Electronics Co., Ltd.
Yangjie Electronic Tech. Co., Ltd.
Yuxin Electronic Technology Co., Ltd.
Zibo Micro Commercial Components Corp.
Zibo Seno Electronic Engineering Co., Ltd.